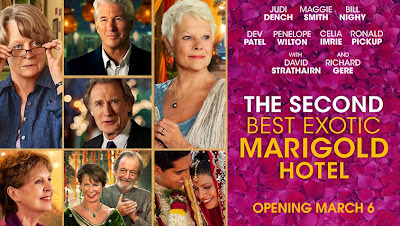 The sequel The Second Best Exotic Marigold Hotel to the original Best Exotic Marigold Hotel is a great watch. Bollywood meets Hollywood in a way that you have not seen before. Weddings, music, romance are the key themes here. 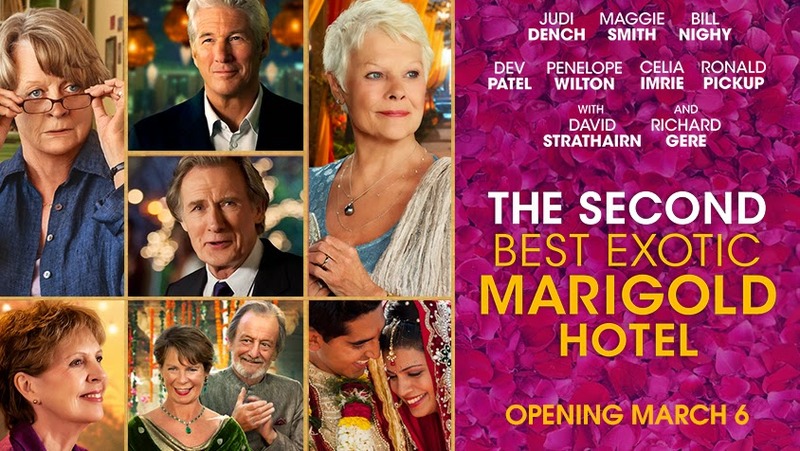 There is a message in the movie that rings true that after you retire , your money may not go as far as it would if you chose your own version of the Marigold hotel. Dev Patel is marvelous and extremely entertaininga. Judi Dench and Maggie Smith excel in their humor. Richard Gere makes his appearence as charming as usual. Tina Desai as Sunaina is the voice of reason here. With so many romances going on simultaneously you have to be on your toes not miss any of them. The movie 122 minutes of non-stop light entertaiment and you tend to laugh at all the self-deprecating humor as well. I think there is an opportunity to continue the plot to a 3rd movie.